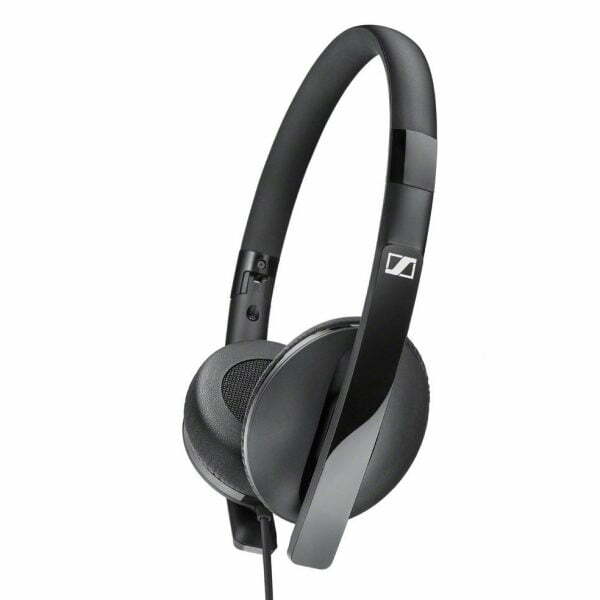 The Sennheiser HD 2.20s headset delivers Sennheiser sound quality and maximum portability for a truly satisfying listening experience on the go. 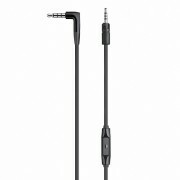 The compact on-ear design sits securely and comfortably. 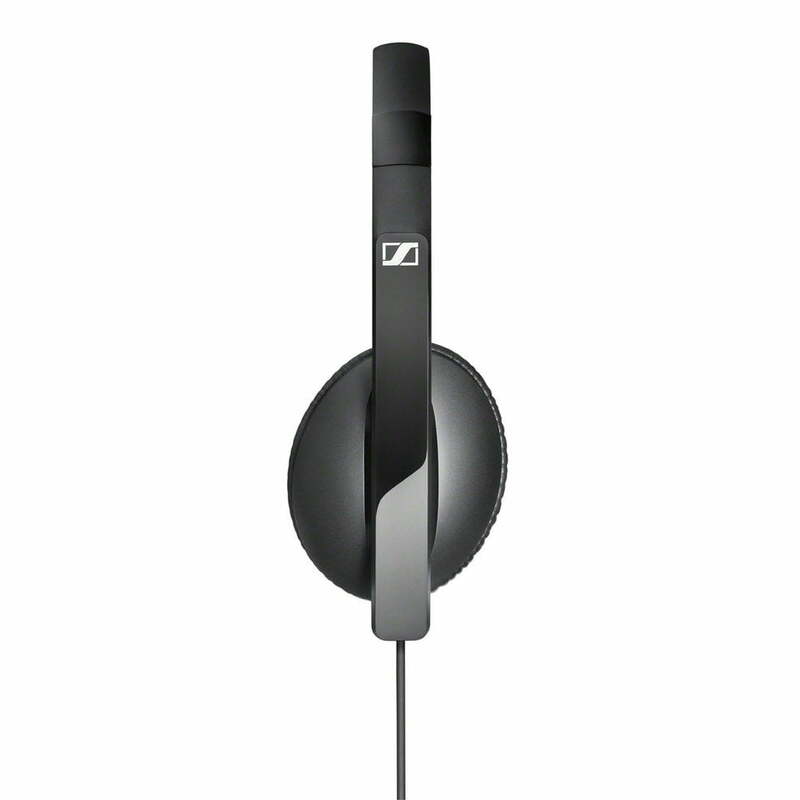 Legendary Sennheiser quality never looked crisper. The new HD 2 series achieves the feat of being elegantly minimalist in design, yet tough enough for a life in motion. With a sound that lets your mobile device, i. e. your music, shine wherever you are. Plug them in and get the most out of your portable device. This versatile, sturdy, and streetwise beauty lets you enjoy your music and manage your phone calls, while its comfortable soft ear pads keep the noisy world away. 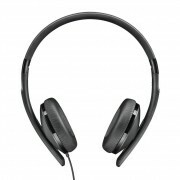 The HD 2.20s is made to make your mobile life more pleasurable. That’s why it is so slim and lightweight and sturdy at the same time. It features a single-sided, tanglefree cable, which comes with a built-in special treat: a onebutton smart remote plus microphone that lets you take calls and playback music. Last but not least, thanks to its foldable headband you can stow the HD 2.20s away easily – should you ever want to. 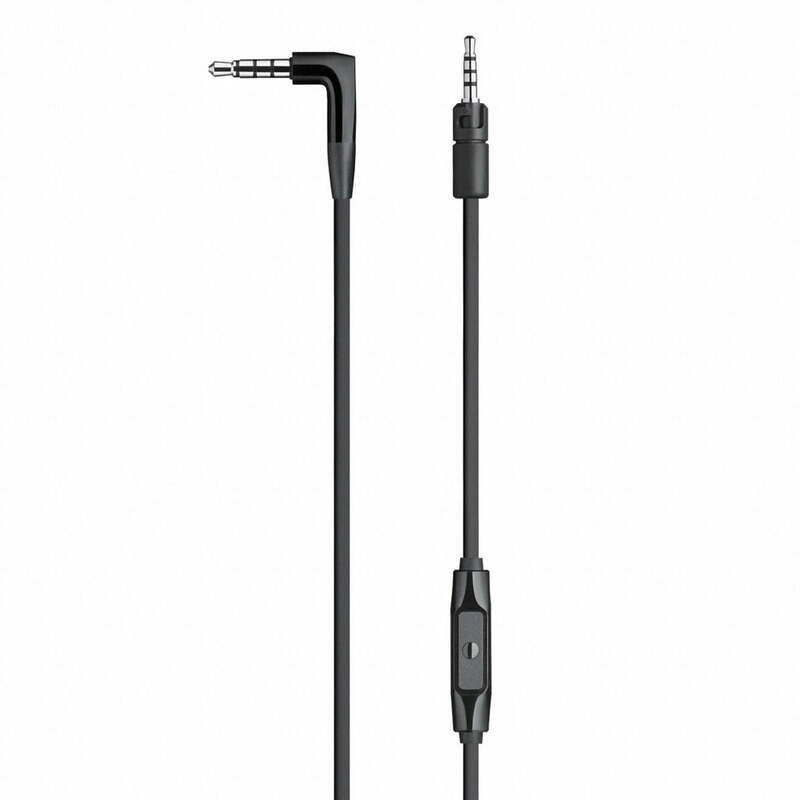 As slim and elegant as the HD 2.20s is to the eye, as stunningly powerful it is to the ear. Its closed-back on-ear design attenuates ambient noise, creating the stage for a great sound reproduction with a punchy bass response. 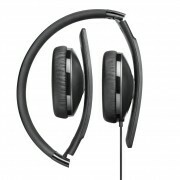 Thanks to the extremely comfortable premium leatherette earpads you can enjoy this experience virtually endlessly. The lithe and elegant frame of the HD 2.20s results in a stunning clean silhouette. Its classic black look with gloss accents is both timeless and current. All substance and style, the HD 2.20s makes it a point to “wear like you hear”. 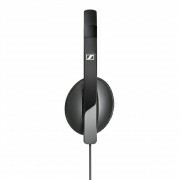 Sennheiser Canada Two (2) Year Limited Warranty.